Props to my former roommate for finding that one. 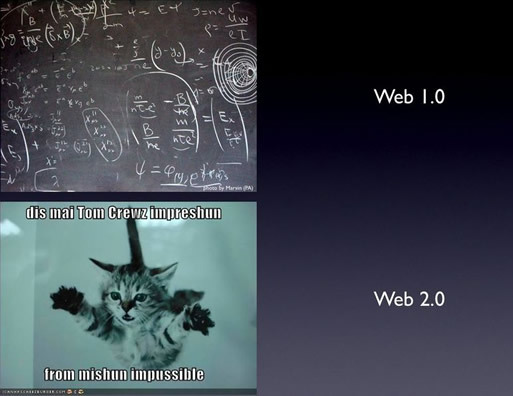 You know, like, Web 1.0 was all complicated n stuff, and Web 2.0 is like, what it is, right? Plus, bonus points for the icanhascheezburger reference. And I think I used the right “it’s”, but I’m never really sure, really. That is all. Maybe call this the precursor to the Friday Office Funnies. Happy Thursday.